What a beautiful case. And this is coming from a guy that tried many many cases across many phones and normally runs naked cause I just don't like cases. This one is different. 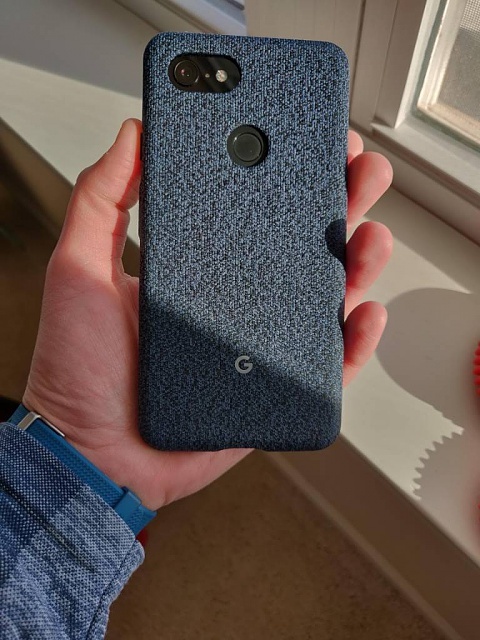 Here is the Indigio color (blue) on my 3 xl. Lookin' good! I assume that also feels pretty good, right? Yep. Looks and feels good. Pretty impressed and officially my case going forward. Doesn't add much bulk to the phone which is perfect for what I am looking for. This is by no mean a heavy duty protection case though. I have the grey one and it looks awesome! The only thing, I find it a bit slippery though. I have the grey one and love it! The only downside is that it is slippery though it’s super light weight! I have never owned a more unique case. I am enjoying it too. Enjoy! Love the fog color on my 3Xl. Such a unique feel. I like the one I have. Very tight though and nearly impossible to remove easily. Enjoying mine today as well! 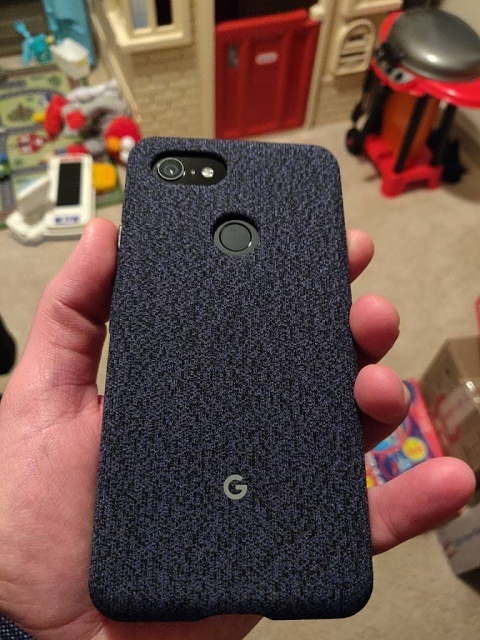 Got my Google Fabric Fog case for my 3 XL at a Best Buy in Atlanta. Love it. They had a good supply in all available colors. That case looks beautiful! I never even thought of smartphones having fabric cases! 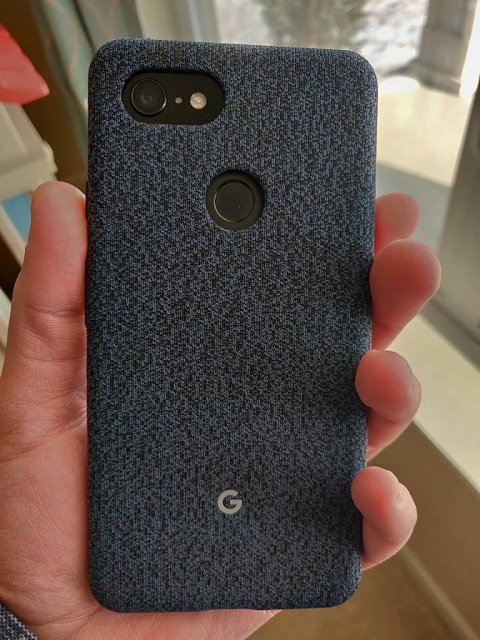 No lip on the front so I can't put it face down is a deal breaker for me with this case - all Google cases. I just don't get it, they can't do a millimeter or two on top? 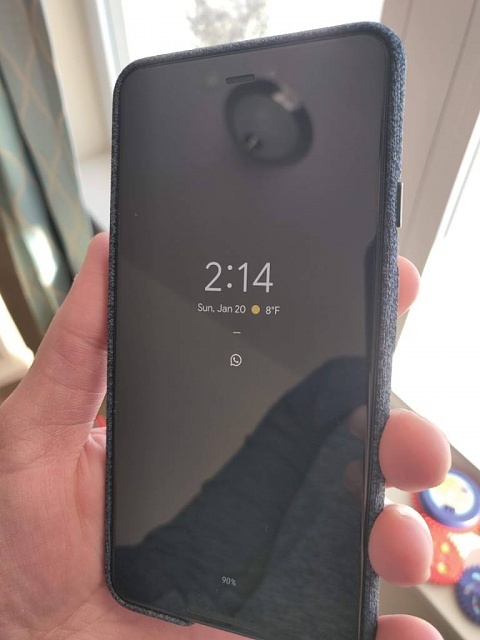 The lip on the front is only a small area in the lower front center area and does not in any way prevent protection when placing the phone face down. I put mine face down all the time and it works perfectly. I actually prefer it because it makes it a lot easier to remove and reinstall the case for cleaning. I even accidentally dropped my 3 XL face down from waist height on a ceramic tile floor with absolutely no damage whatsoever! This case is more protection than you think! Go to a Best Buy and try one out. That's what I did. It's a lot more impressive than the pictures. You'll be very pleasantly surprised. There is a lip on the front just not very tall. I think about 1mm if I have to guess. Putting the phone face down, the screen won't touch the surface; I tested this with a sticky note. I actually never set my phone glass down on the desk, so it doesn't really matter to me. I have the fog case for my 3 XL and I think I like it more and more everyday. 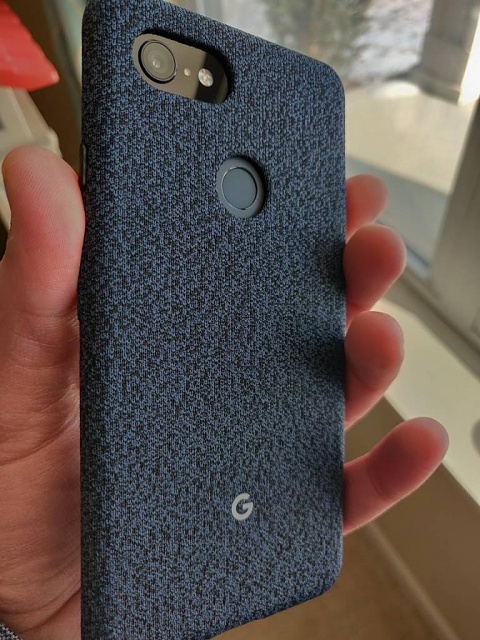 It feels really good in the hand and has a really unique look that is different than most other TPU cases out there. Flagging individual videos to NOT upload to Google Photos?